If you drive a car, you need to be covered by some sort of car insurance. You have probably seen dozens of advertisements from insurance companies claiming to help lower your rates, improve your coverage, or just help you compare, but before you buy your first insurance (or change providers), the first step is knowing how exactly car insurance works. There are several different types of car insurance, each covering a different potential cost. Liability coverage is the part that is required to drive – this type of insurance will pay another driver’s repair costs and medical bills in case of an accident. If you cause property damage by running into a building or fence, liability coverage will pay for that too. Liability coverage does not cover you or your car. This means if you have an accident, get hit by another driver without insurance, or have any other damage done to your car and just have liability coverage, you will be on the hook to pay 100% of the repairs (and medical bills) yourself. 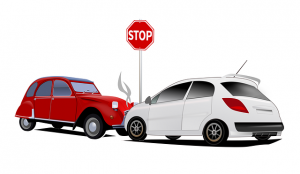 Collision coverage is a step above liability coverage – if there is an accident, this type of car insurance will also cover the damage to your vehicle, even if you are the one who caused the accident. 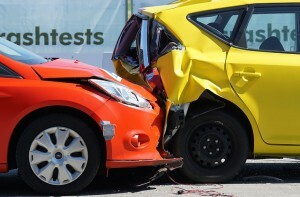 Collision coverage will pay for damage to your vehicle, but not any medical expenses. To cover medical expenses resulting from a crash, you will need Personal Injury Protection. Note – if the other driver was completely at-fault for the crash, their liability coverage will pay for both your car repairs and medical expenses. There are two types of uninsured motorist coverage – “Bodily Injury” and “Property damage”. Getting uninsured motorist coverage will cover your medical and repair expenses if someone hits you has no insurance. The “Bodily Injury” type will cover any medical bills, lost wages, and pain/suffering expenses. 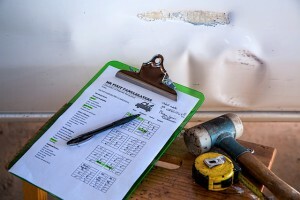 If you have Property Damage coverage, it will cover the costs of repairing your car, but may also extend to your other property (like your house, or any stuff that was in your car that was damaged by the collision). Comprehensive coverage is designed to insure your car for damages and repairs that are not caused by accidents. This means Comprehensive Coverage will cover you for things like theft, damage from fires, if an animal hits you while driving, a tree branch falls on your car, or even if you get a cracked windshield. Even if you have every type of insurance all at once, you will still not be covered for general mechanical repairs – these will always be paid out-of-pocket. Each state regulates car insurance independently, which means that the types of insurance above will be different depending on where you are located. State rules generally fall into two categories: “Tort”, and “No Fault”. A “Tort” state is a state that assigns blame to each car accident, usually on a sliding scale (for example, 40% driver A, 60% driver B). This percentage of fault will determine how much each party is required to pay. For example, if you are 40% “at fault” for a collision, your insurance does not need to pay anything to the other driver, but the other driver only needs to pay for 20% of your damages. Most states are “Tort” states. The advantage of the tort system is that it is perceived as more “fair” – drivers (and therefore insurers) are only responsible for the damage they cause, no more and no less. The disadvantage is that a huge number of accidents end up in court, and the courts then need to determine who was at fault, and how much to award. This is extremely expensive both in legal fees to the drivers involved in the accident, as well as a huge burden on the legal system. The opposite of the Tort system is the No Fault system. No Fault states generally do not make any effort to determine who was responsible for a collision – the costs for repairs and medical expenses are paid solely by your own insurer. 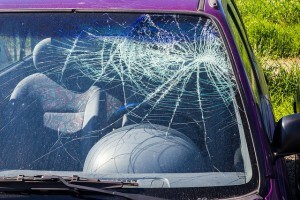 There is usually a cut-off, where collisions that incur huge amounts of damage can still go to court to determine who is at fault and sue, but drivers cannot sue for damages below this threshold. This means that Liability Coverage and Uninsured Motorist Coverage become less important (although still comes into play for bigger accidents), while Collison Coverage and Personal Injury Protection is usually mandatory. There are currently 14 “No Fault” states – Florida, Hawaii, Kansas, Kentucky, Massachusetts, Michigan, Minnesota, New Jersey, New York, North Dakota, Pennsylvania, and Utah, plus Puerto Rico and Washington D.C. Several other states offer the option of “No Fault” insurance policies in addition to Tort policies. Proponents of No Fault insurance argue that it makes filing a claim and getting compensation for repairs simpler and faster, and removes a huge burden from the legal system, while opponents say that it does not properly discourage drivers from behaving recklessly, and can result in higher premiums. If a driver from a “No Fault” state is visiting a “Tort” state and gets into an accident, they may be on the hook to pay a significant amount to the other driver if they do not have sufficient liability coverage. Conversely, many “Tort” state policies treat drivers from “No Fault” states as if they are uninsured motorists, so Uninsured Motorist coverage would pay for damages. Liability coverage is the minimum coverage required to drive in most states. This has created a myth, particularly strongly believed by young and cash-strapped buyers, that you will always have the lowest monthly premiums if you just opt for liability coverage. At the other end of the scale, many so-called personal finance “experts” will advise all drivers to get the maximum amount of coverage they can afford. This advice is particularly toxic, since that advice is usually given for every type of insurance with no guidance on how to balance trade-offs. There are many factors that will influence your monthly premiums, but the biggest factor that you can negotiate is the balance between your deductible (meaning the amount you need to pay out of pocket before your insurance kicks in) and your premium (how much you pay each month for coverage). 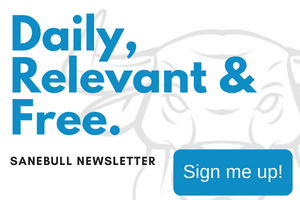 The higher your deductible, the lower your premiums, and visa versa. This gives you greater control over your total insurance payments. For example, you may want a full set of liability, collision, uninsured driver, and personal injury protection coverage in case of a disaster, but get a very high deductible to keep your monthly premiums low. This might mean you need to pay a huge amount out-of-pocket if you get into an accident, but you might end up with lower monthly payments than someone who just has liability coverage, but a very low deductible. Besides choosing your level of coverage and the balance between premiums and deductibles, there are many factors that will determine how much you need to pay for insurance. Fast sports cars have much higher insurance rates, simply because they are more expensive to repair if they get in an accident. New cars are more expensive for the same reason, but insurance companies will also charge more for cars over 15 years old. This is because older cars have higher failure rates than newer cars, which means something is more likely to break while on the road and cause an accident. Crime also plays a role in how expensive your insurance might be – if your model of car is frequently stolen, getting comprehensive coverage will be significantly more expensive. The most frequently stolen cars usually are not the most expensive, but the ones thieves can usually cut up for individual parts and sell at a higher rate. Men typically get in more accidents than women, so women usually get a bit of a break on their car insurance premiums. Younger drivers also pay more than middle-aged drivers, but retirees start to see their rates climb up again as they get older. Urban areas have a lot more collisions than rural areas, so if you live in a city, expect to pay more for insurance. If you have a spouse who also uses your car, you will pay more to insure them. Conversely, if you tend to drive a lot of other vehicles (such as your spouse or friend’s car), you may need to get coverage for this, or you may be considered an uninsured driver if their insurance does not cover other drivers. If you used your parents’ car as a teenager, keep in mind they saw a huge spike in their premiums when you started driving. If you use your car as part of your work, such as food delivery or driving around for sales calls, your normal personal insurance probably will not cover you if you get in an accident on the job. You will need a special class of professional insurance to be covered. The good news is that your employer will usually compensate you, and if not, you can write off the expense from your taxes. If you need to file claims with your insurance company frequently, even for accidents that are not your fault, your premiums will go up. If you get speeding tickets or reckless driving tickets, your rates will start to go up quickly. There are also many factors that can lower your insurance rates, but be warned – if you tell your insurance company you qualify for these items but they find out you were misleading them, your policy will be cancelled and you may even be prosecuted for fraud. 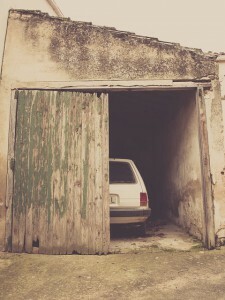 If you park your car in a garage each night, you can get a huge reduction in your monthly premiums. This is because cars parked in a garage see less “wear and tear” from the elements like rain and snow, get less damage from vandalism and debris, and are far less likely to get hit by other drivers while parked. If you have renter’s insurance, homeowner’s insurance, or any other type of liability insurance, your insurance provider might offer bundles to get all your business. This can knock around 15% off your premiums for both policies. If you do not file claims frequently (or at all), your premiums will start to fall after a few years. You may be able to take a “Safe Driver” class and get a few dollars knocked off your insurance each month. Many insurance companies will require this after a certain number of speeding tickets or citations to avoid a huge spike in premiums. What you pay each month is determined partially by your history of claims, but you can also save a lot by getting a strong understanding of how insurance works. When you sign up for a policy, your insurance company will put you into a pool with dozens or even hundreds of other drivers with the same characteristics (age, number of claims, type of vehicle, ect). The insurance companies then uses the average it needs to pay out in claims every year for this group to determine how much you get charged. The criteria for what puts you into a particular group changes from company to company and what group you might fall into will change from year to year. However, your insurance company probably will not move you into a cheaper group even if you qualify (this is usually determined when you first sign up for insurance, and only gets reviewed every few years). Even with completely identical groups, different insurance companies might pay out a different amount on average just by random chance, which will impact what they charge in premiums for new customers in a particular group. This means you could end up saving hundreds of dollars simply by shopping around different insurance companies regularly. Even if your rates do not change from year to year with one company, they might be drastically different if you apply 12 months later with a different one, so most experts recommend looking for new auto insurance quotes at least once every two years. 1 of 5) Which type of coverage would pay for the damaged caused to your car by another driver who was uninsured? 2 of 5) What which is one difference between a "Tort" and "No Fault" state? 3 of 5) If you want to have the lowest possible monthly payment, what should you do? 4 of 5) Which of the following would likely cause your premiums to go up? 5 of 5) Which of the following could lower your premiums by the most over 10 years?